Hi all! Thanks for joining me today! Today's share is of a card that I made a little bit ago for a friends birthday and I forgot to post it. So, i thought i would share it with you today. 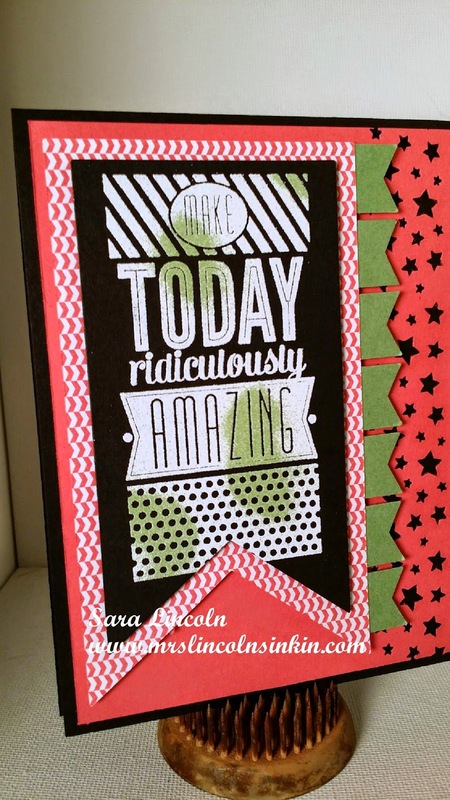 This card uses the Double Embossing technique. I am hoping to get a video done so i can share it with you this Friday (fingers crossed, lol). 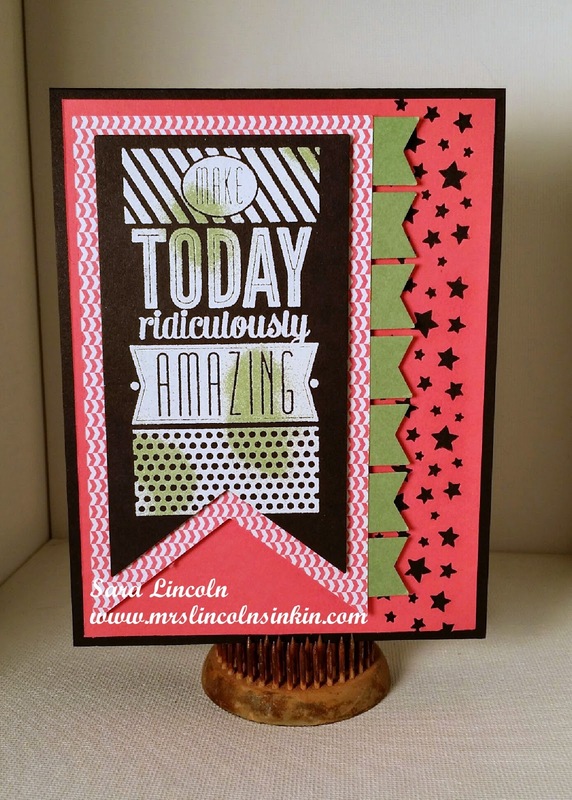 The items that i used on today's share are all by Stampin' Up!. The base of my card is in Basic Black and measure average size of 4 1/4" x 5 1/2" and then topped that with a piece of Strawberry Slush cut at 4" x 5 1/4". I then used my Banner framlits and the 2013-2015 In Color Paper Pack for my background piece! To finish it off i used my Mini Banner punch and added those along the side. I really like how the Mini Banner and the Star punch accent each other on this card.